Hey everybody! I hope you're doing well! 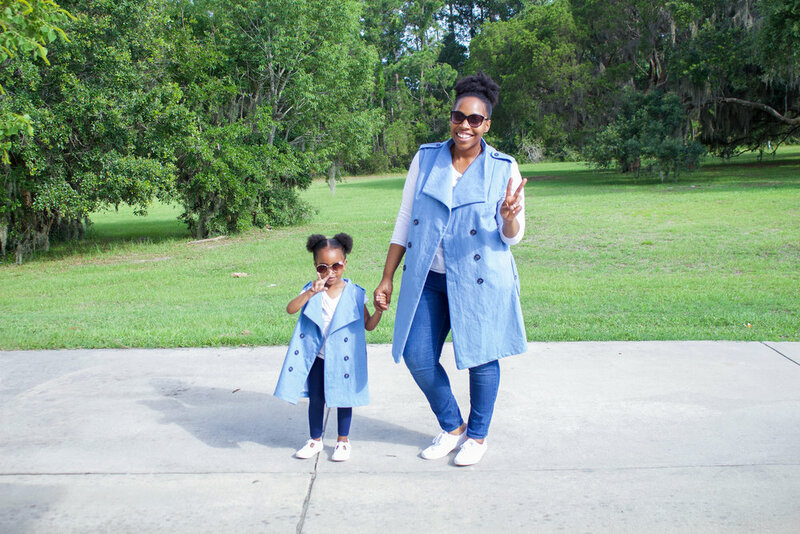 Today is all about the mommy and me McCalls 7749 trench coat pattern by Nikki of BeauteJadore. I appreciate all the love you all show for our mommy and me matching looks! I really love and enjoy twinning with my mini! Hey everybody!!! Happy February! I've been sewing so much, I realized I never took photos of my sleeveless jacket!! If you follow me on Instagram (and you should) then you may remember me making this last month! She has some mistakes, but I'm very proud of this simply because it's my very first coat! !